Video of a thief boldly snatching a purse from a woman inside a Las Vegas restaurant has been viewed more than thirty-thousand times, but police still haven't made an arrest. A lot of people were surprised to see the woman try to chase down the robber to get her stuff back. 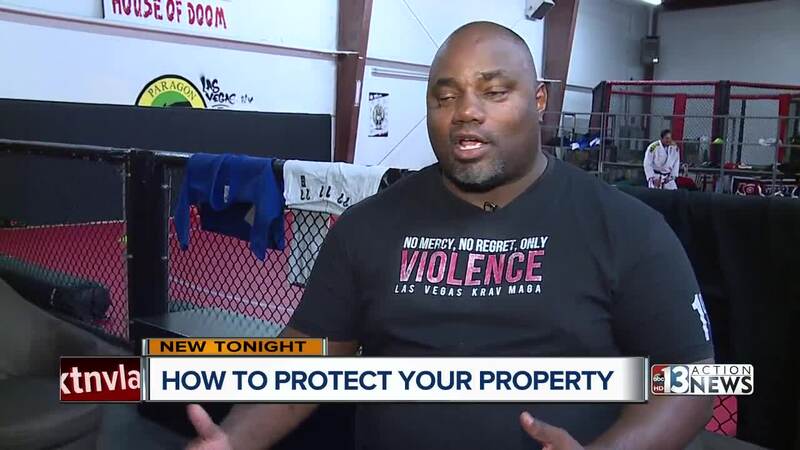 We talked to a self-defense expert about how understanding the mindset of a criminal could decrease your chances of being in a similar situation. Donavin Britt is the Founder and Chief Instructor at Las Vegas Krav Maga. He teaches martial arts and also helps train law enforcement. "When bad guys are surveying the landscape they are no different than a lion or animal looking for something to eat," Britt said. "They are going to asses their best chances for success. And if you aren't paying attention that's an automatic trigger for them." He's an advocate for self-defense, but doesn't recommend doing what we see in the video from Aloha Kitchen. After her purse is snatched the victim chases the thief who could have had a weapon and been desperate enough to fight. "Don't fight over personal items," said Britt. "Now if they are trying to take you from point A to point B you fight like the third monkey trying to get on Noah's Ark! If they want your bag, let them have it. It's not worth it." *Look up and scan your area. It lets any potential attacker know that you are alert, that you see them and could possibly identify them. * Cell phones can be a criminal magnet because they distract you and there is a resale market for them. * Remember you don't know the criminal's motivation ( i.e.addiction, theft, assault) which is why you should not confront or chase them.